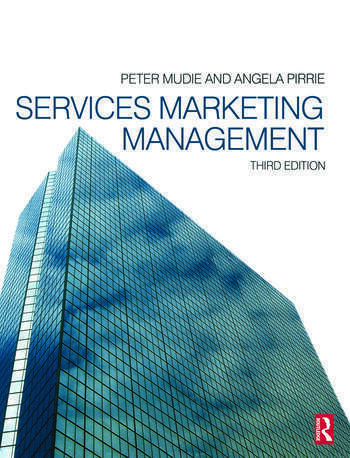 Services Marketing Management builds on the success of the previous editions, formally entitled 'The Management and Marketing of Services', to provide an easily digestible approach to the service industry with a specific focus on the management and marketing elements. This new edition has been thoroughly revamped to include pedagogical features such as exercises and mini cases throughout the text to consolidate learning and make it more student friendly. New content has been incorporated to bring the subject matter thoroughly up to date, for example featuring more on the Internet, the inclusion of material on call centres in respect of service delivery and service encounter; additional material on customer relationship management (CRM); consideration of frontline employees and internal marketing; and a discussion of revenue management issues in managing demand and capacity. Particularly suitable for students on marketing, business and hospitality courses who require a good grounding in the principles of services marketing, the practical implications are shown clearly and effectively demonstrate how the principles are applied in the real world. A web based lecturer resource accompanies the text. Preface; Acknowledgements; Introducing services; The organizational setting; Service design; The service setting; Service quality; The service encounter; Service employees; Managing demand and supply; Service communications; Performance measurement; Delivering satisfaction; Monitoring and evaluating the service; Index.